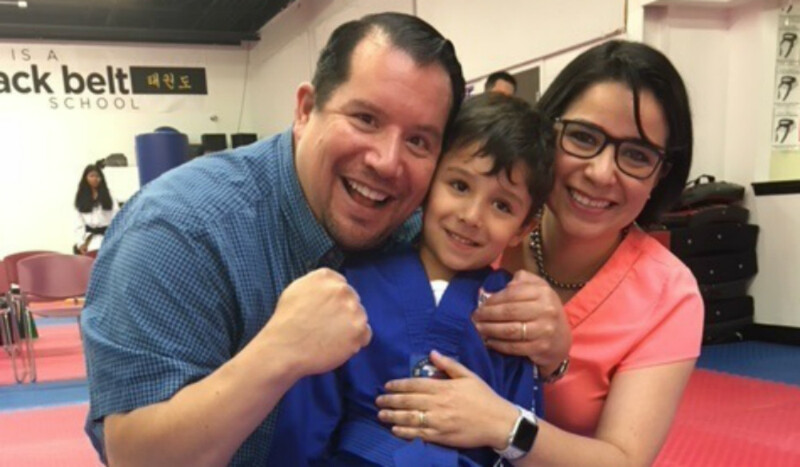 Dr. Moises Auron and his wife, Dr. Marina Duran-Castillo, celebrate with their 5-year-old son, Eitan, after the youngster received his blue belt. National Institute of Nutrition and Medical Sciences Salvador Zubiran, National Autonomous University of Mexico, Mexico City; MetroHealth Medical Center, Case Western Reserve University, Cleveland, OH. You wouldn't expect a martial arts aficionado who holds a third-degree black belt (3rd Dan) in tae kwan do to be a cheerleader. But when you hear Dr. Moises Auron talk about ACP, you understand. “ACP is something that's very meaningful. You make a difference for the patient. You make a difference for the discipline. You can't be more inspired. For me, ACP is like a second home. ACP is extremely relevant for all doctors, and for the patients as well,” Dr. Auron says. One of his favorite ACP events is Leadership Day, a yearly two-day advocacy event in Washington, DC where ACP and its members meet with Congress on issues involving internal medicine. He has attended the event for the last several years. He joined the Ohio Council of Young Physicians at the invitation of Dr. Mark Mayer, ACP's Ohio governor at the time. Dr. Auron created a Facebook page for the chapter (back when Facebook was still new) and word of his enthusiasm spread to ACP's Council of Young Physicians (now the Council of Early Career Physicians). He joined the Council after a few years and eventually became chair. “Our joint efforts, along with the mentorship and administrative support of ACP staff, allowed us to promote activities at the local as well as the national ACP meetings to support the professional development of our early career physician colleagues,” he says. I grew up in a house with lots of medical books and journals. I was always peeking at things like that... For me it was always clear that I wanted to be a doctor. Dr. Auron is a staff physician at the Cleveland Clinic in the Department of Hospital Medicine and the Department of Pediatric Hospital Medicine. He also serves as the Quality Improvement Officer in the Department of Hospital Medicine. He was a third-year internal medicine resident in his hometown of Mexico City when he came to the United States in 2003 to be with his brother, who had become seriously ill during his own pediatrics residency in Cleveland. While at his brother's side in the ICU, he got to know the medical team and peppered them with questions about his brother's care. “I was never planning on coming to the States. My plan was to stay in Mexico to train in endocrinology or anesthesia and critical care,” he says. But Dr. Auron made an impression and it was suggested he continue his residency in the United States. That led to an offer to be an observer for three months. He eventually applied for a combined internal medicine and pediatrics (med-peds) residency, given that he was already an internist in Mexico; he completed his residency in 2007 and he's been a practicing academic med-peds hospitalist ever since. We take care of human beings. And human beings are not just biological entities. It's somebody with a soul, with thoughts, with feelings. We see the patient in the most comprehensive way. ACP's resources have been invaluable in his career. “We use the Annals of Internal Medicine and ACP Hospitalist and they are brilliant. They're great resources because they really summarize the most relevant literature that's pertinent to our practice. He adds that MKSAP is one of the mainstays for his board recertification and he also uses it for reviewing things and teaching residents. He tells medical students to always ask questions. “Always be curious. Always ask why. Have a healthy skepticism. 'Why' is the single most important question in medicine,” he says. 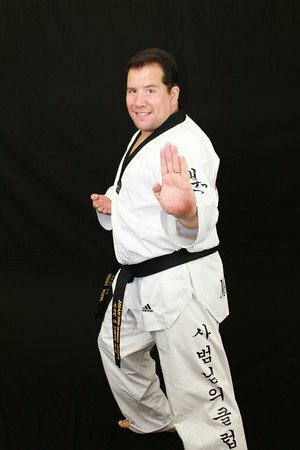 nine years, and has achieved a third-degree black belt. Dr. Auron arrives at the Cleveland Clinic at 7 every morning. His days are filled with rounds, patient visits, meetings, lectures for residents, paperwork, and more rounds. But he makes sure he leaves time for his family. “At 5 o’clock I go home and do my own life,” he says, which includes spending time with his 5-year-old son, Eitan, and his wife, Marina Duran-Castillo, a pulmonary and critical care specialist and also an ACP Fellow.